ISLAMABAD/MURREE: Shahid Khaqan Abbasi spent his first day as prime minister in his hometown of Murree, where he held consultations with his predecessor Nawaz Sharif and other senior Pakistan Muslim League-Nawaz (PML-N) leaders on key issues, including the formation of a new federal cabinet. Sources in the party told Dawn that participants also deliberated on plans for hosting a welcome for the former premier when he returned to Lahore, a strategy for the upcoming by-election in NA-120 and issues related to governance. The meeting was attended by Punjab Chief Minister Shahbaz Sharif, former ministers Chaudhry Nisar Ali Khan, Ishaq Dar, Khawaja Muhammad Asif, Khawaja Saad Rafique, Ahsan Iqbal, Pervez Rashid, Sardar Mahtab Ahmed Khan and PML-N information secretary Mushahidullah Khan. The sources said that the participants agreed that key portfolios should be given to the same people who held ministries in the Nawaz Sharif cabinet, if old policies were to be continued. However, Chaudhry Nisar Ali Khan is said to be still reluctant to join the new cabinet and efforts are under way to convince him to return as interior minister. Most former members of the cabinet reportedly want to retain their portfolios. 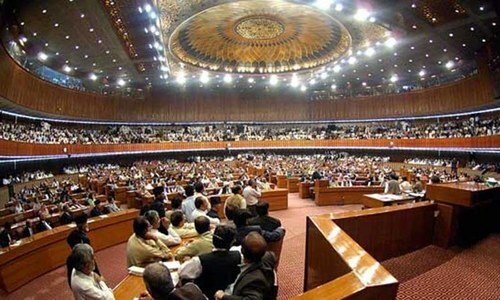 One of the key portfolios that came under discussion was that of finance minister, which is vacant now after the Supreme Court’s decision to send a reference against former finance minister Ishaq Dar to the National Accountability Bureau (NAB). 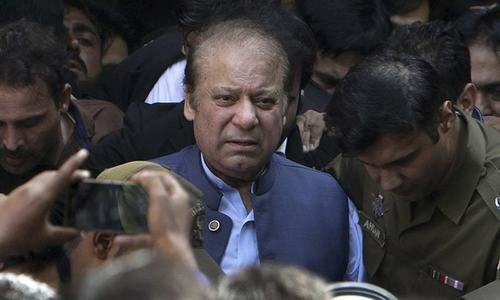 Talking to Dawn, one of the participants claimed that other than the formation of a new federal cabinet, party members spent the most time on plans to arrange a befitting reception for former prime minister Sharif when he arrived in Lahore for the first time since his ouster. He said the party had constituted a committee under Chaudhry Nisar Ali Khan to oversee arrangements for Mr Sharif to travel by road from Islamabad to Lahore. Hamza Shahbaz, Saad Rafique, Pervez Rashid and Dr Asif Kirmani are to assist the former interior minister in making arrangements. The PML-N leader said Mr Sharif would most probably travel via the motorway and not via GT Road, as initially planned. The former premier is expected to head to Lahore after the swearing-in of the new cabinet. In a brief chat with reporters, Prime Minister Abbasi said that consultations on the formation of the new cabinet were still ongoing and would continue for another day or two. When asked if the party had decided on a candidate for the upcoming by-election in Lahore, PM Abbasi said the issue had come up for discussion, adding that there was still a lot of time for consultations. This response lent credence to speculation that the PML-N is now re-thinking its earlier decision to bring in Shahbaz Sharif to replace the ousted PM. On July 29, the former premier had announced that his younger brother would replace him at the Centre and Mr Abbasi would be prime minister in the interim. But there is a strong group in the party that believes that the younger Sharif should stay put in Punjab, which is the party’s stronghold. Punjab Law Minister Rana Sanaullah has already said as much. The Election Commission of Pakistan (ECP) has already announced a schedule for the NA-120 by-election, and polling will be held on Sept 17. Mr Abbasi said the former prime minister had directed him to continue existing policies, especially programmes such as the China-Pakistan Economic Corridor (CPEC), power projects, and the construction of motorways and dams, which were to continue at the same pace so the world knew that a prime minister could be changed, but policies would remain the same. 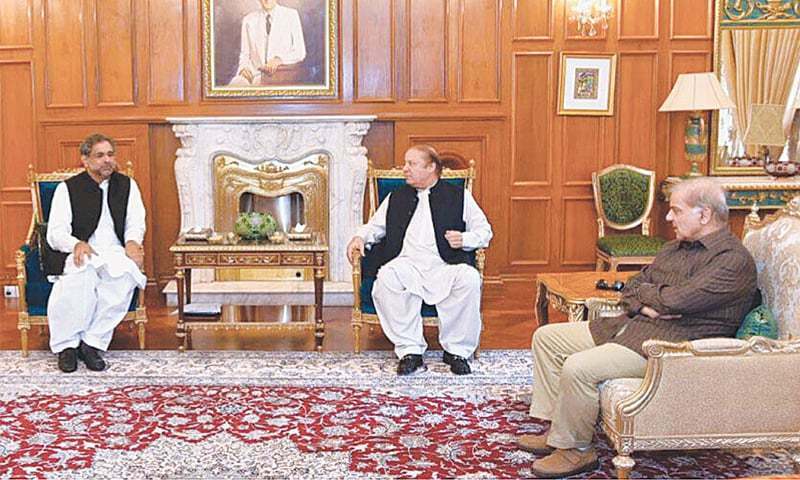 The prime minister said Mr Sharif will go to Lahore once the composition of the federal cabinet is finalised. According to sources, the leadership has decided to go with retired Lt Gen Abdul Qadir Baloch as interior minister, in case Chaudhry Nisar refuses to join the cabinet or take up his previous portfolio. Mr Sharif has been in Murree with his family since he left Prime Minister House on Sunday. Whatever the big row is coming up and by next week everything will open up. Old members of the part have been ignored which is not a good omen.